Blogging is fun, but can also be a lot of work. In the past I have tried a couple times to blog consistently, but could never pull it off. After a couple of months, I just moved on to other things. But this time is going to be different! I now know what problems I have with blogging and I have some plans to circumvent them. So why do I want to start blogging again? I don’t have the illusion that I know everything, but I do know that I love helping others. By sharing my ideas, knowledge and experience on this blog, I hope to inspire others and make them aware of the things I can maybe help them with. Writing helps me clear my head and helps me make decisions. I noticed that the last couple of months while writing e-mails to others to ask for help on a subject. By the time I wrote the e-mail and expressed my thoughts it already became clear what I should do. I love my life, but it’s going so fast! I’m 32 now and I can barely remember how it was 5 years ago. What was I thinking? What was I working on? How did I grow in the person I am now. Luckily I have some rare insight in those things because of the blogpost on this blog. So I just have to create more posts so that I can look back to the past in the future. And what is going to be different this time? Well, one of the most important changes I make to blogging is that I’m going to write in English. This was a hard decision to make, but since I’m putting my focus more and more to an international lifestyle it only makes sense. Writing a good blogpost takes time, I just have to make time for it. There is a lot of “missed” time during a week, for example when I am on a train or just on a lazy evening. These times would be ideal to write a blogpost, I just have to make it top of mind and not mindlessly go on 9gag. One of the most difficult things about blogging is deciding what you write about and getting inspired. So to counter this, I am already creating an Ideas Journal, a list with cool ideas for future blogpost. So each time I have some time to write something, I just have to look at the list and start writing. I will try to put up a couple posts a month, but I don’t think I can commit on a certain schedule yet. I just have to see how this will go. All in all I have to make writing as frictionless as possible, so if you have some tips for this, please let me know! 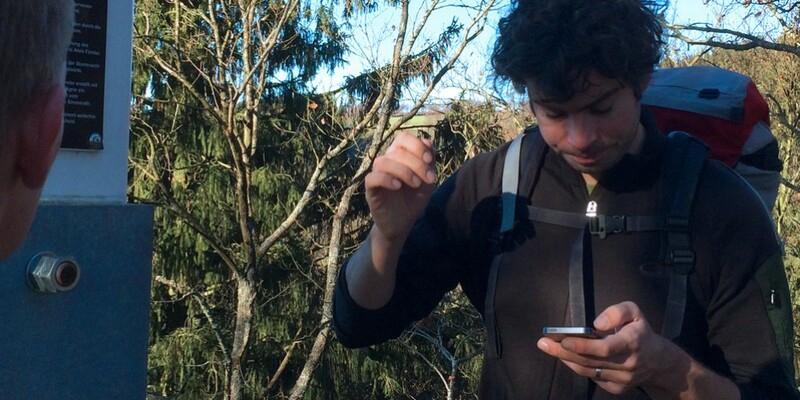 Picture above is me trying to figure out which way to go on a gps map on our last hiking trip in the Eiffel in Germany.